Netflix’s “The Final Table” is all anyone’s been talking about for the last few months. The slick, highly competitive cooking show sees 24 of the world’s top chefs battle it out for a seat at “The Final Table,” alongside the world’s greatest culinary masters. 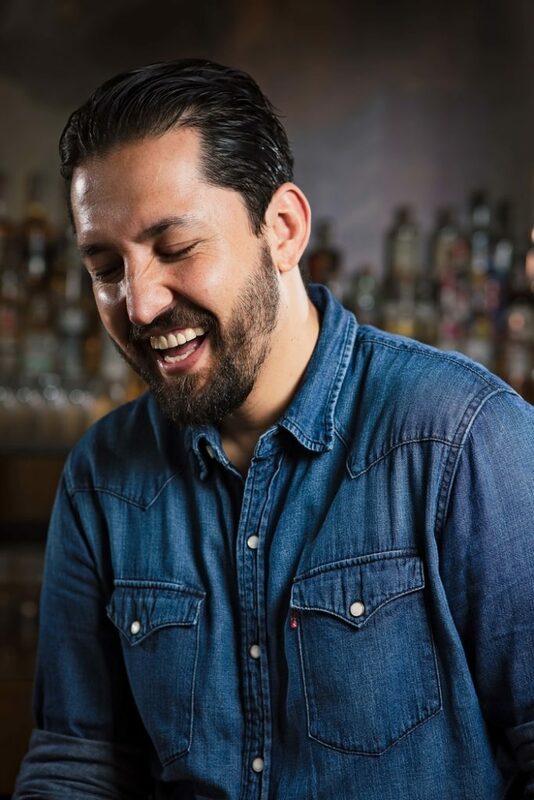 Adding a dash of Mexican flavor to the show — quite literally, if you’ve seen the dishes he and fellow chef Rafael Gil cooked up — is Esdras Ochoa, who helms the kitchen at Kennedy Town’s coolest eatery, 11 Westside. How did you get into food and cooking? I got into food out of necessity. Back in 2009, when the recession hit, I decided to open up a taco stand with a friend. We just started selling tacos on the street, trying to make a living. And little by little…we were doing something new. I was bringing tacos from my home town, which no one was doing at the time. So we were doing flour tortillas, everything was flame-boiled over an open grill, all the salsas were fire-roasted peppers and fresh ingredients. And our guacamole was free, all-you-can-grab! So it took off and blew up, and because of that I started getting into food and realized it was my passion. I started making a lot of chef friends, learning from them. I started reading a lot, and researching more than just tacos — I was exploring my roots, too. You got your start with a food truck selling tacos in a parking lot. How did you make the leap to “Taco King” with restaurants around the world? I have a background working in casinos, and I’ve seen a lot of things in that industry. I’ve seen people go from…we call it “zero to hero,” so going from nothing to winning tons of money. You know, at first it was out of necessity, doing the taco truck. Then I started making enough to survive, and I was happy with that. But then the opportunities started coming in, and I said, let me just go with it. Soon enough, we got the opportunity for Hong Kong, so we went for it. And then India came up [Ochoa recently opened Sancho’s in Mumbai] and I jumped on that, too! So I just kept looking forward. I don’t really think about logistics. I’m the kind of guy that just jumps in the water and learns to swim when I’m there! What’s the secret to a great taco? You know, it’s very simple, yet very complicated. It’s a quality tortilla, it’s a quality piece of meat marinated the proper way, then grilled over an open flame. A little bit of salsa, a little guacamole and that’s it. I guess the best way to explain it is sushi. It’s three ingredients. – rice, soya sauce and a piece of good fish — but it’s mind-blowing. And it’s easy to screw it up, but it’s also easy to make it right if you know what you’re doing. Same thing with a taco. So it comes down to quality ingredients and knowing how to properly grill the tortilla and steak. What have you learned from opening and running restaurants in three very different countries? Anything is possible! I’ve learnt that dreams can become reality. I’ve learnt that if you believe in your craft and you love and appreciate it, it shows. Doors open up. And that can be applied to anything. 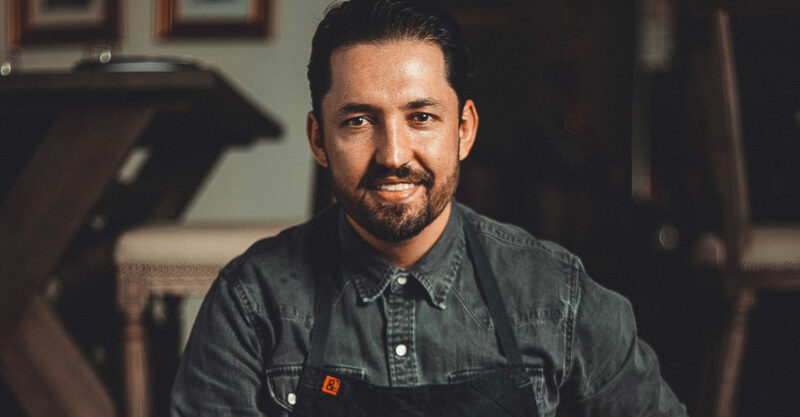 To me, through doing “The Final Table” and everything else I’ve done, people started looking up to me and made me an example, like if that normal Mexican guy can do it, so can I. And now I want to push people, to tell them that hey, they can do it, too! It’s not easy, but it’s very possible. And I really want to encourage people to pursue their dreams. Whatever it is, it’s doable. I’m a living testament to that. Aside from tacos, what does Mexican food mean for you? It means culture, festivities, art, passion, stories…the stories to do with food are incredible. It means joy, suffering…it means a lot of things. It’s like opening a huge book. It’s life. Tacos are life! People joke about it but I really feel it’s true. It shows everything from good times to hardships and everything in between. It’s probably chilis…spices. Not just because I’m Mexican! But because chilis can be manipulated so many ways. In Meixcan cooking you can fry peppers, grill them, roast them, dehydrate them, make oils with them. And even though it’s the same pepper, the result is completely different when you make it a certain way. And you can even learn to make it spicy or not spicy, depending how you prepare it. I love the versatility of it. Moving on to your restaurants. A lot of people say the tableside guacamole at 11 Westside is too expensive. What do you think about this? A lot of it has to do with the imported ingredients. The avocados, some of the spices that we use like the chili and jalapenos…they’re nuts, they’re so expensive. Also, it’s done tableside, so you have to plug in labor at that point. We literally have to hire one more person on the floor just to do the tableside guacamole. But we think it’s important, because otherwise the guacamole just isn’t as fresh. So you’re paying for the quality. It’s actually one of our lowest-margin items, in terms of making money…we don’t really make money from it! That was crazy, man! People ask me this question a lot, and I start sweating right away, just remembering what I went through! It was so intense, so stressful, so exciting, so fun, so scary. You’re like, dude, if I screw up right now… You know all eyes are on you, and the pressure behind it is intense. We worked in a team of two and you don’t want to let your partner down. You want to represent your country, your people, your cuisine, and all your fans, employees and customers, too! All the people who are dying to see you on the show. It’s all these mixed emotions, but really it was the experience of a life time. I would do it all over again if I could. The Final Table used more celebrity judges than food critics on its judging panels. What are your thoughts on this? I actually enjoyed that a lot. I liked it because not everyone’s a food critic. The people that walk into your restaurants are not usually food critics, they’re just regular people. I personally love when normal people come to the restaurant and I’m cooking and plating for them. It’s as exciting and nerve-wracking for me as with a food critic, because I want them to enjoy it the same way [a food critic would]. They would probably appreciate it even more! So I actually like this spin on the show, because the average person that enjoys food is so normal. I don’t care if you know about food or not, or if you don’t know what you’re eating. If you’re enjoying it, and you’re saying it’s delicious, that’s the whole point. I can’t even answer that because I surprise myself! Every year it’s like, “how did I get here?” If you’d asked me two years ago if I would have a restaurant outside of Los Angeles, I would’ve said no, you’re crazy. But sure enough, we’re in Hong Kong now! And if you’d asked me if I would ever have a restaurant in India…man, I’m lucky if I even visit India, and now I have an apartment, a footprint there. So honestly, I can’t tell you what’s next. Maybe tacos in Mars? You know, whatever it is, I’m down! Let’s get [Space X founder”] Elon Musk involved and make it happen! Space tacos! But really, I’m always open to everything. Life is an adventure and you have to life. If it’s there, just jump on it and at the end of the day, it’s a great story to tell.